You can use automated email marketing to engage and re-engage customers easier than ever before. 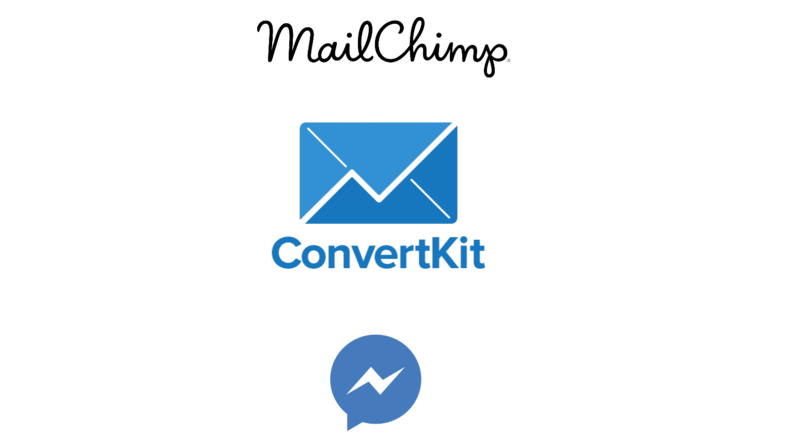 We’re also using Facebook Messenger for up to 80% open rates compared to 30% for email. Even better! Effective communication is one of the keys to success. The tool from the 90’s that still works. You can gather email addresses through opt-in forms, Facebook Lead Ads, sign-up pages, and customer purchases. Email marketing software allows you to segment and tag each person so you can then send blanket emails to everyone or personalise the recipient list. Let it run like a machine. Using tags and segments you can add people automatically to various email sequences based on their actions, either opening emails, clicking on a link, based on how they subscribed, or even inactivity after sending a bunch of emails. Automate once, the software will do it forever. A new version, taking it to the next level. Very new to the game of marketing is Facebook Messenger. You can build a list of Messenger recipients and when required or automated, shoot them messages! It ‘dings’ on their phone just like a chat from their friends. You can add buttons, links etc and the open rates are huge! It’s another way to reach back out to your customers or potential customers. You’ve worked hard to get them to your website or to click on an Facebook Ad, so you might as well use that information to get back in touch. Some typical uses would be as an alert or notifcation system, letting the customers know about new products, current specials, event information etc. You can also use these mailing systems to send out automated sequences of emails at pre-determined intervals, maybe a short set of training emails to engage potential customers, or automate a follow up email a month or so after a purchase. Mailing lists are a crucial part of a successful product launch. You can send out a series of emails in regards to the product or service prior to the big launch day, and if its a time limited offer, follow up with a few emails in the days leading up to the close off. This can all be prewritten and automated, saving you time and money! Recently we’ve also been using Facebook Messenger as a tool to deliver messages to people that have signed up to find out more. This is even more effective than email as you get over 80% open rates compared to about 30% for emails. 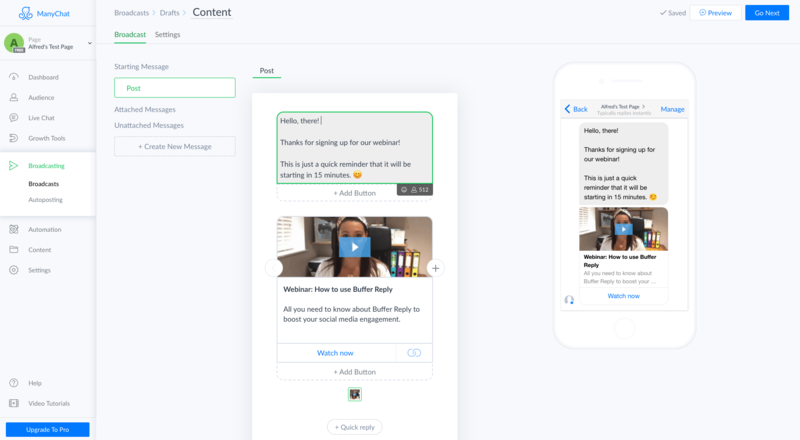 The software enables you to have links, buttons and you can even auto reply based on their responses using a chat bot! 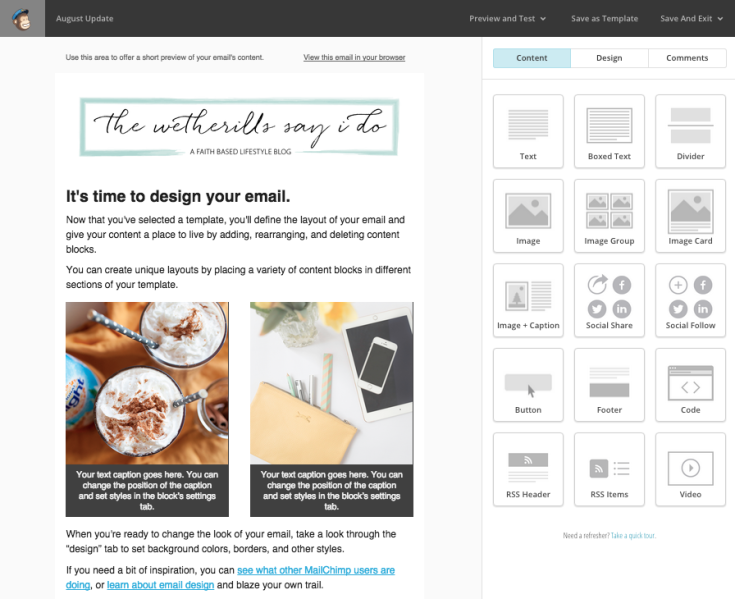 We see this as the future of “email marketing” and we’d love to help you get this up and running too!